The Album Of The Day is the 2001 self-titled release by Scene Killer. 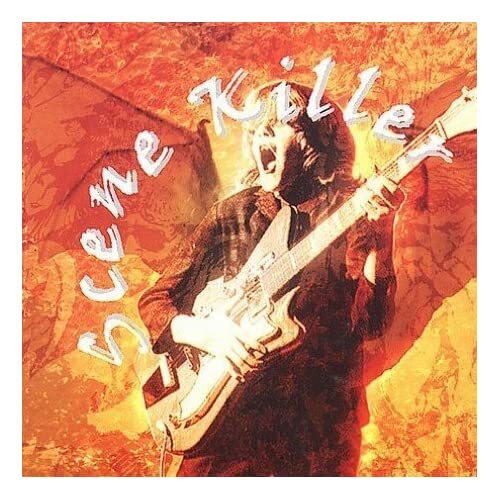 "Scene Killer is a musical document of the New Jersey rock scene, an album of songs co-written and recorded by members of every important group in the region. As with the founders of the Seattle scene a decade ago, all of these musicians have been in and out of bands and projects together for years, so getting them back together for a record was a natural thing. The result is a collection of flowing riffs and fuzzed-out guitar blasts that unite as the unofficial soundtrack to the as-yet unmade sequel to Dazed & Confused. This is spur-of-the-moment greatness and unclaimed glory. It's loud, stony guitar rock like they made thirty years ago, and to hear it, you'd think these bands were there the first time around." "Executive produced by Jim Hogan, and performed by members of The Atomic Bitchwax, Burnout King, Core, Daisycutter, Drag Pack, Halfway to Gone, The Lemmings, Monster Magnet, Rotgut, Six Sigma, Solace, Solarized, and The Clone Obey. Additional contributions by Yukito Okazaki (Eternal Elysium), Alfred Morris III (Iron Man), and Jack, Lee & Tyler (Giant Sloth)."